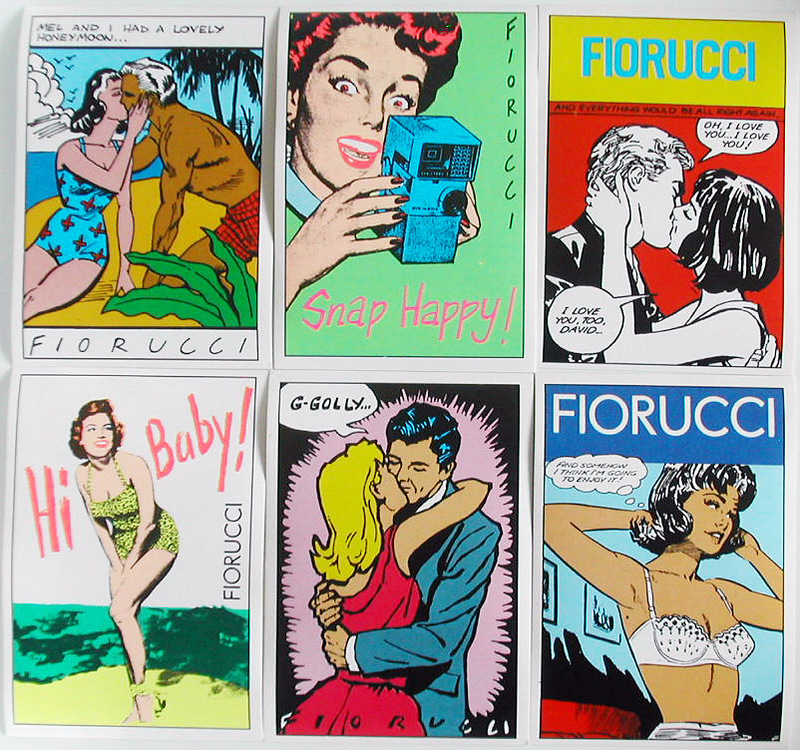 And fast-forwarding back to 2013, the Lichtenstein show couldn’t be more timely, as Pop art is proving a major inspiration in fashion land. 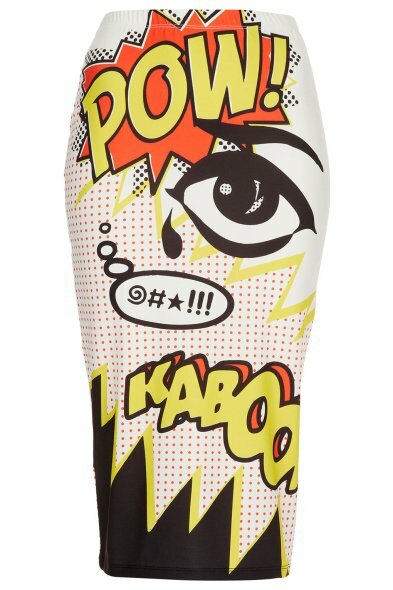 It started with Phillip Lim and Markus Lupfer’s cartoon capers in their pre-fall 2013 shows; next, Tom Ford was in on the act with his a/w 2013 collection, featuring Lichtenstein-like explosions on luxe gowns, and Topshop‘s current Comic Girl collection is the ultimate in superheroine chic. 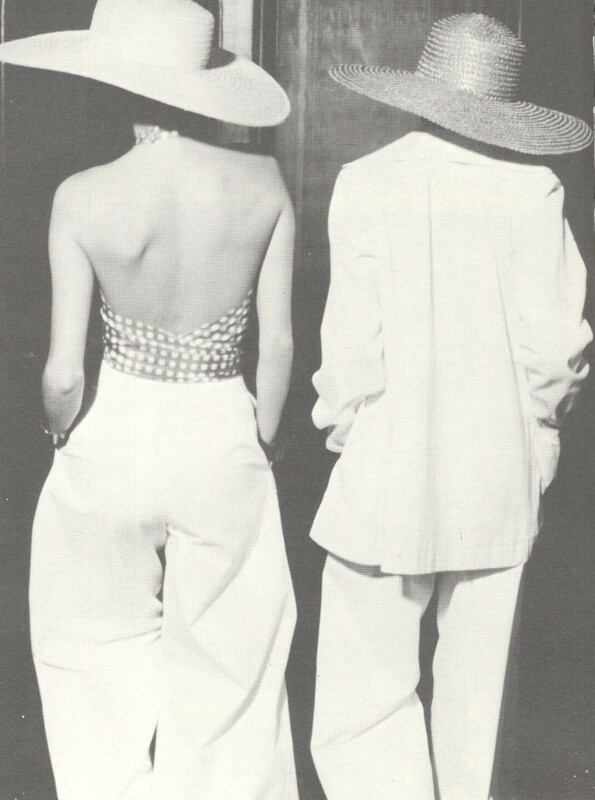 The early 1970s Glam era is the subject of Glam! 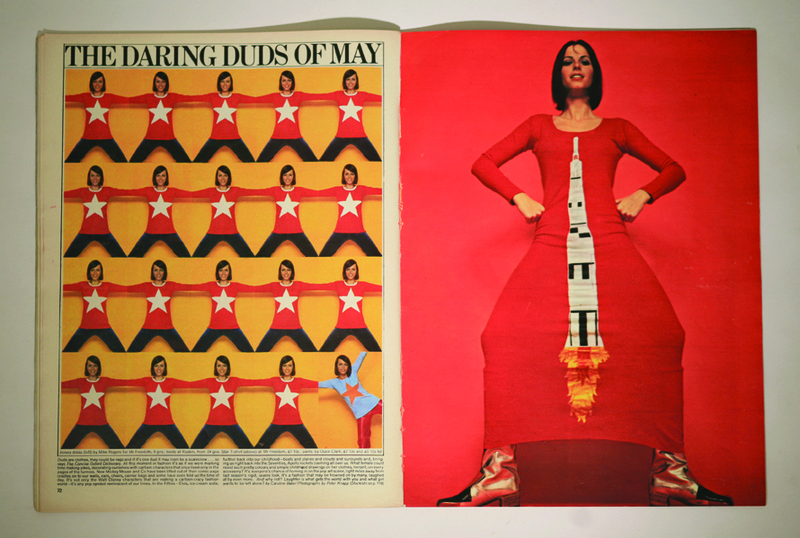 The Performance of Style, a far-reaching exhibition at Tate Liverpool (from February 8 to May 12), encompassing art, design and fashion. Mention the word Glam and images of meathead lads stomping about on Top of the Pops in incongruously ill-fitting Bacofoil jumpsuits usually flash into our minds. Yet, as Glam! 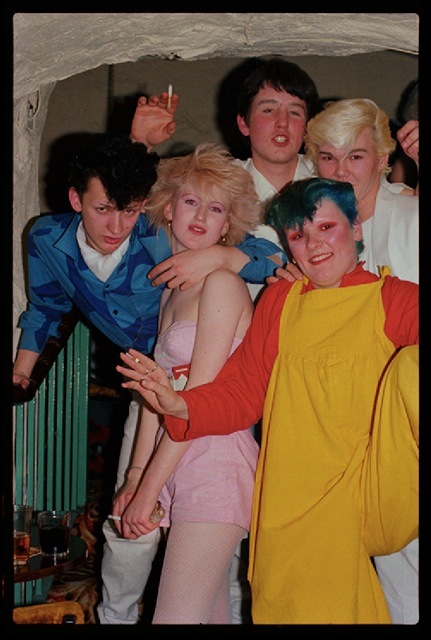 reveals, the looks of Slade, Sweet et al were the commercial fallout of highly sophisticated ideas cultivated by a minority of avant-garde creatives in the US, UK and Europe. 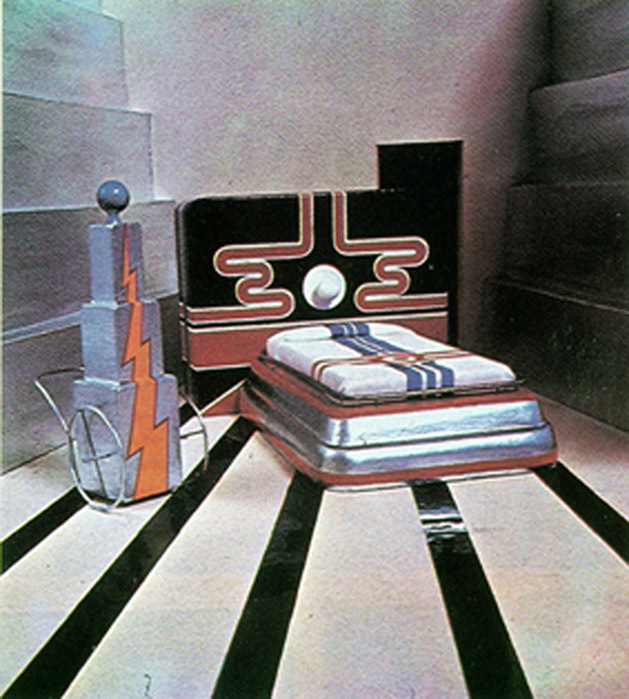 And, as the chapter Avant Garde in 70s Style & Design highlights, too, the Glam sensibility was multilayered and deeply rooted in radical social changes shaking up ideas about taste and lifestyles. Glam! 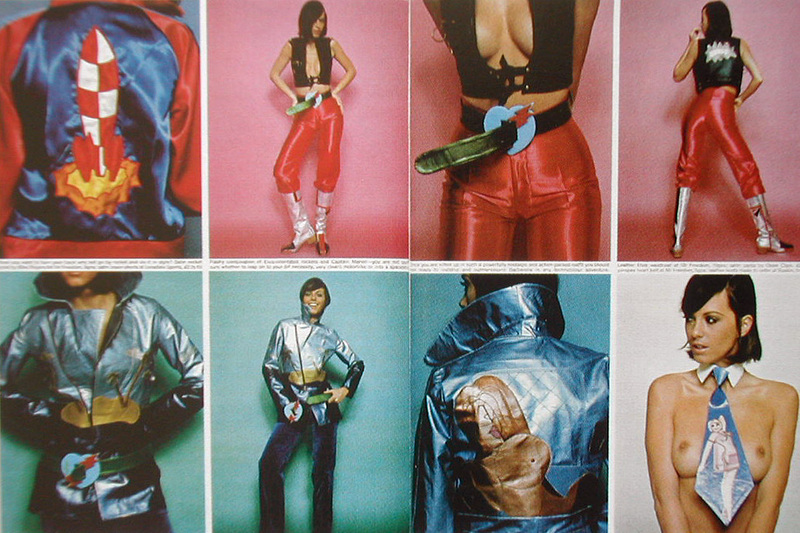 explores both the roots and multifarious manifestations of the Glam sensibility, from 1971 to 1975. This drew no puritanical distinctions in the arts between fine art and fashion and style. 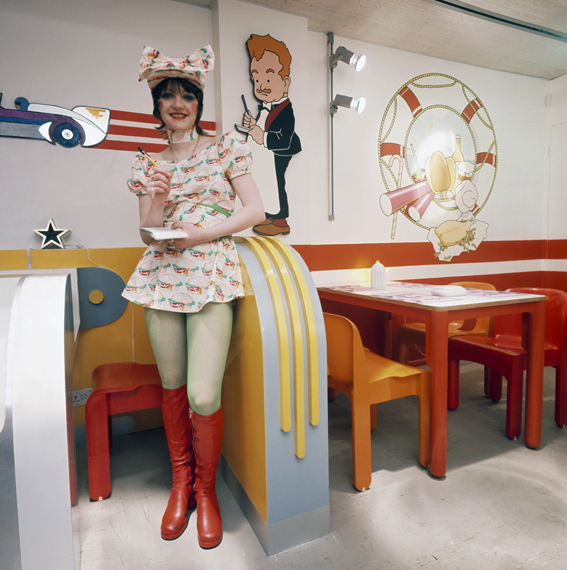 It also celebrated androgyny, a certain camp irony, artifice and – encouraged by the fun-loving, 60s pop movement – flouted conventional, dull ideas about ‘good’ taste, expanding people’s aesthetic horizons by suggesting that kitsch, too, could be stylish. 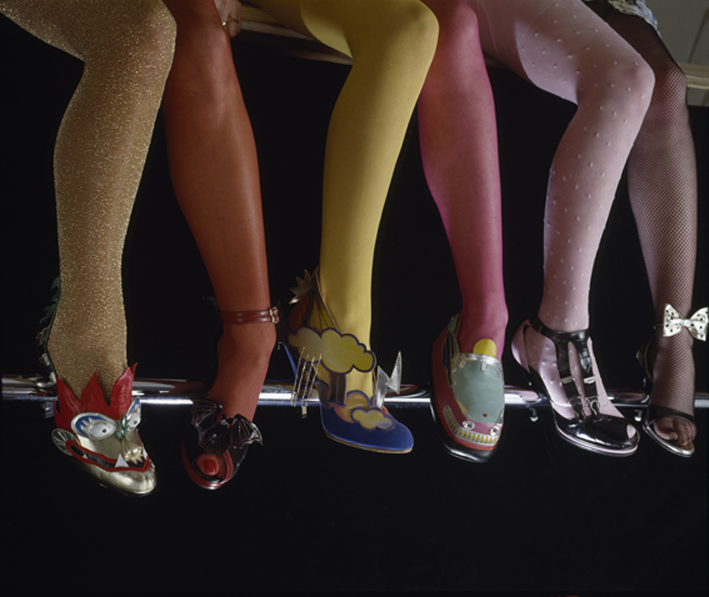 Typifying this sophisticated sensibility in the mid-70s were the Moodies, a predominantly female group of Reading University art students, whose style is showcased in Glam!, and whose performances blended cabaret, pantomime, Dada and performance art. They also revelled in pastiche and parody, singing cover versions of such pop classics as the Shangri-Las’s Remember (Walking in the Sand). 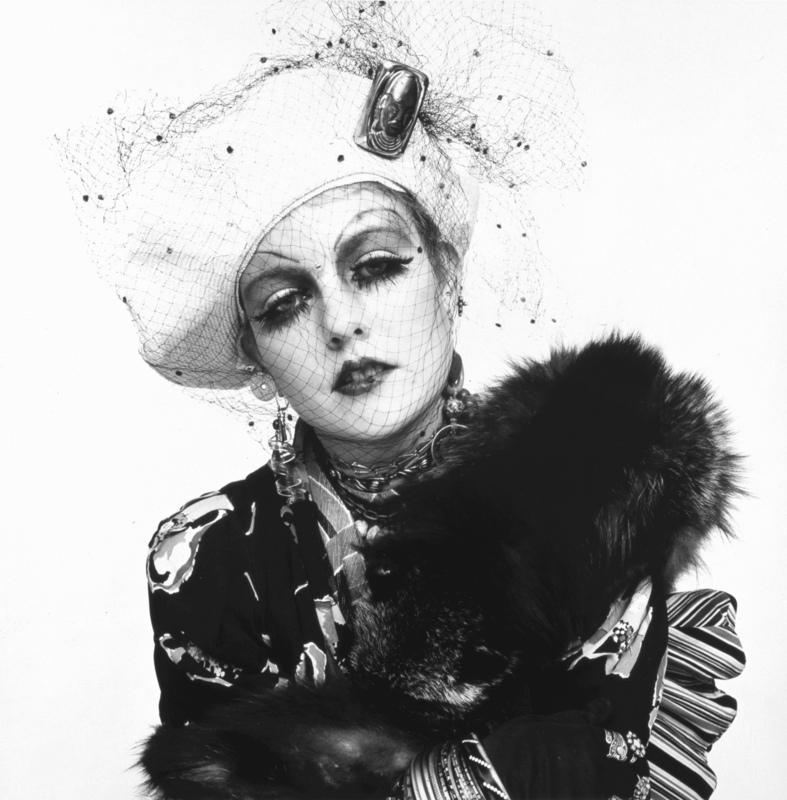 A major inspiration behind the Glam sensibility were the gay rights and feminist movements of the early 70s, which challenged sexual stereotypes and gave greater visibility to the taste and styles of previously marginalized subcultures. 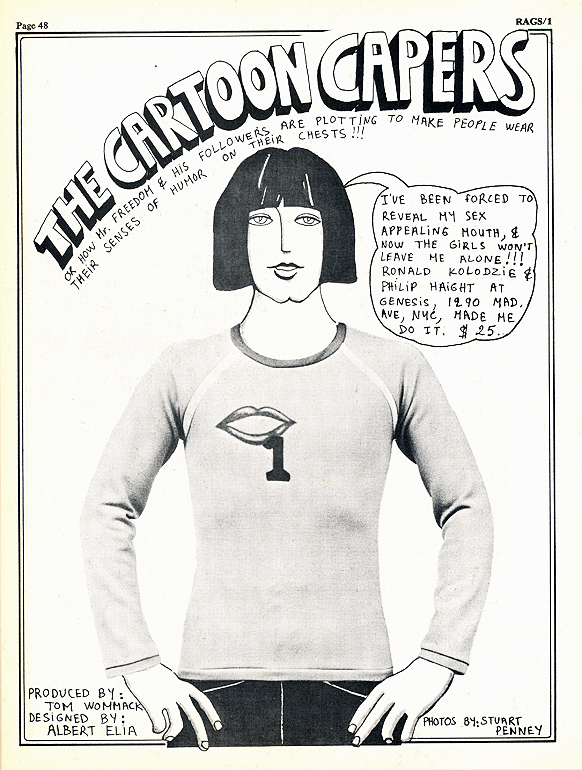 Art schools also played a huge part: between the early 60s and early 70s, the number of students attending them shot up by 70 per cent, and the worlds of fashion and fine art frequently collided. Artist David Hockney and fashion designer Ossie Clark, who both studied at the Royal College of Art, were friends, and Ossie was the subject of Hockney’s iconic double portrait of 1971-72, Mr and Mrs Clark and Percy (featured in Glam!). 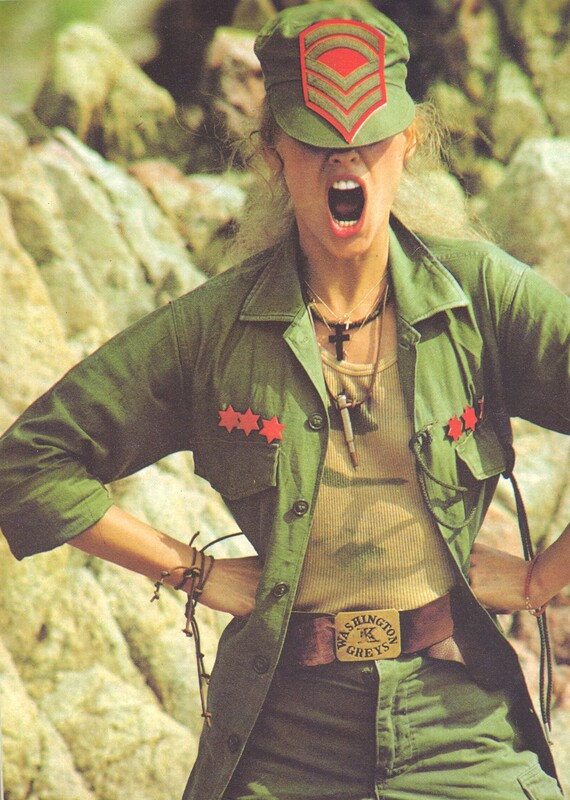 Other influences included Susan Sontag’s 60s essay Notes on Camp, which defined camp as ‘a love of artifice’ and as the ultimate ‘metaphor of life as theatre’. Indeed, the Glam spirit rebelled against the 70s’ hippie counterculture, its accompanying back-to-nature movement and earnest quest for authenticity. 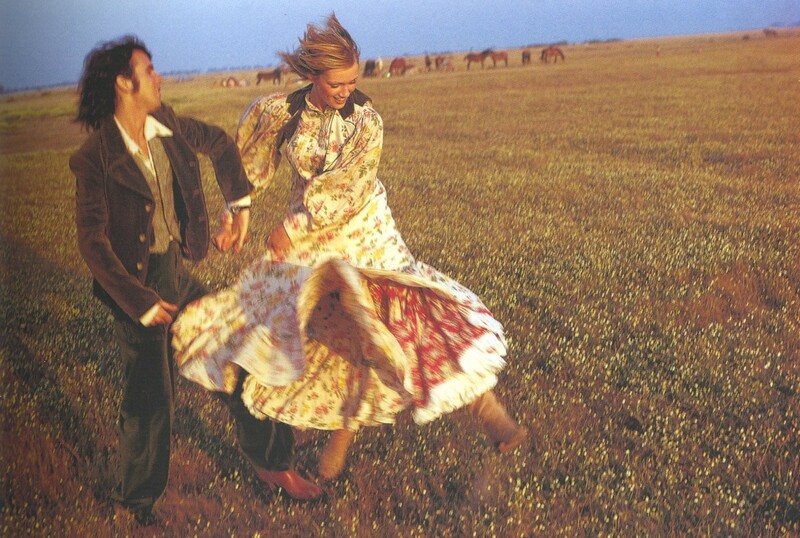 To the (mainly urban) avant-garde, such authenticity was deluded: what about all those weekend hippies? And where was their sense of humour? Many hippies were also patriarchal in their attitudes – so much for revolutionising society! 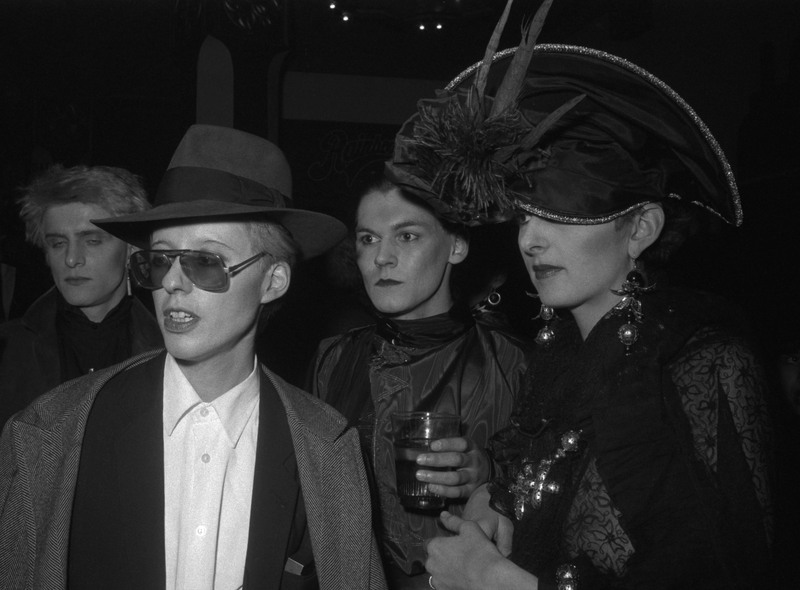 One of glam’s chief muses was the deliciously deadpan Andy Warhol, whose entourage included his posse of ‘superstars’, such as transsexual Candy Darling and sassy models Donna Jordan and Pat Cleveland. David Bowie was wowed by Warhol’s early 70s play Pork and its kooky cast of freaks. Another fan was John Waters, whose own actors in his company, Dreamland Films – including drag queen Divine – were oft-compared to Warhol’s coterie. Elsewhere, the Cockettes, those legendary LSD-taking, cross-dressing, San Francisco-based (and not so po-faced) hippies, also epitomised the Glam sensibility, while in London, the Glam spirit blazed bright at the Alternative Miss World contests organized by artist Andrew Logan. 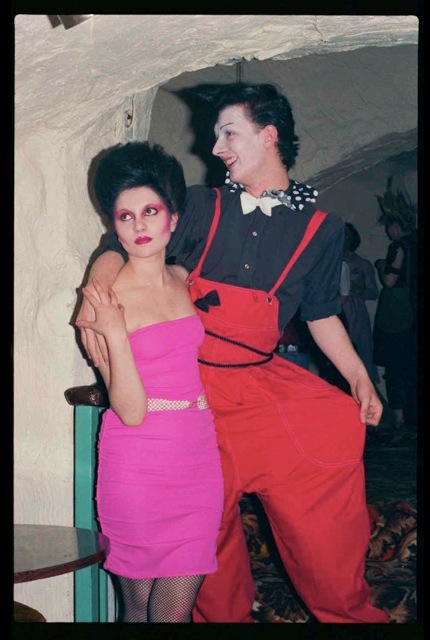 At these camp cavalcades, the eccentric contestants – including film-maker Derek Jarman and fashion designer Rae Spencer Cullen (whose label was called Miss Mouse) – made their surreo-kitsch, often drag-based outfits themselves. 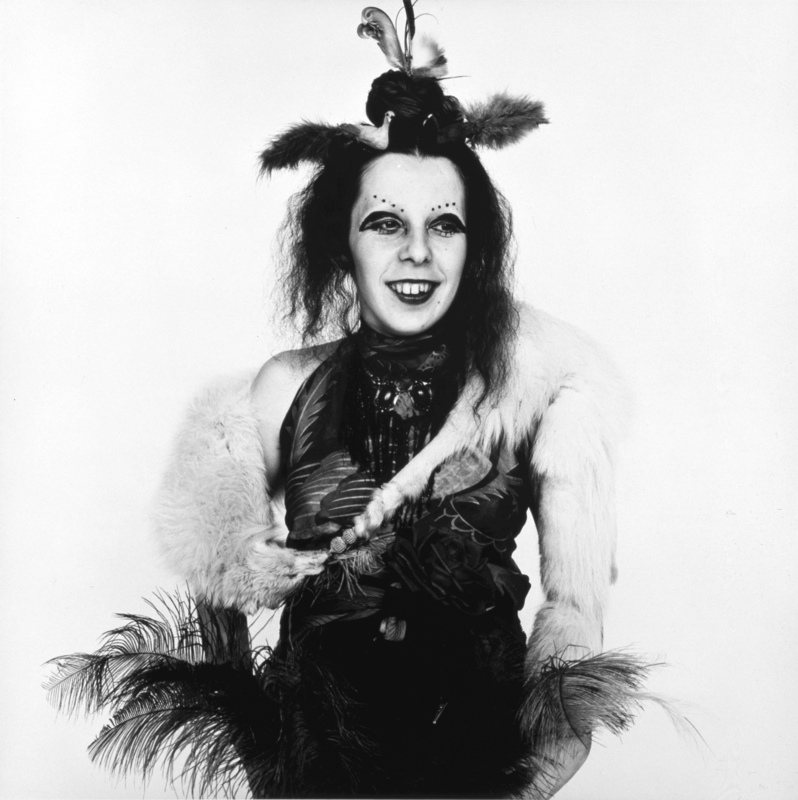 In fact, performance and theatre were a key influence on the Glam movement. David Bowie’s Ziggy Stardust alter ego was hugely inspired by his teacher, the flamboyant mime guru Lindsay Kemp, after all. A relatively more mainstream example of Glam was Biba, which, heavily influenced by Art Deco, dripped with old Hollywood glamour. 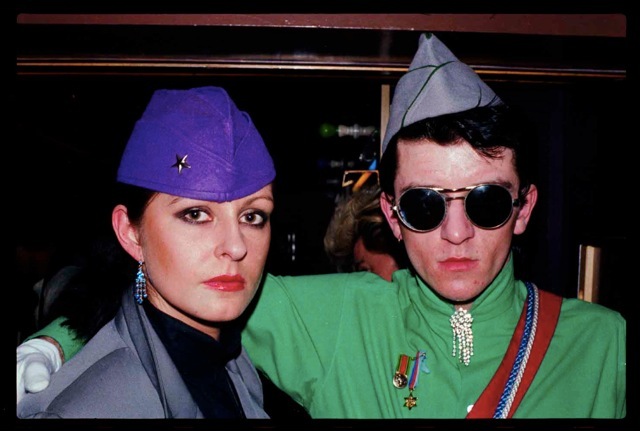 The ultra-camp, über-tailored, 40s and 50s-inspired clothing of avant-garde fashion designer Antony Price – Roxy Music’s costumier – further fuelled the trend. The exhibition Glam! 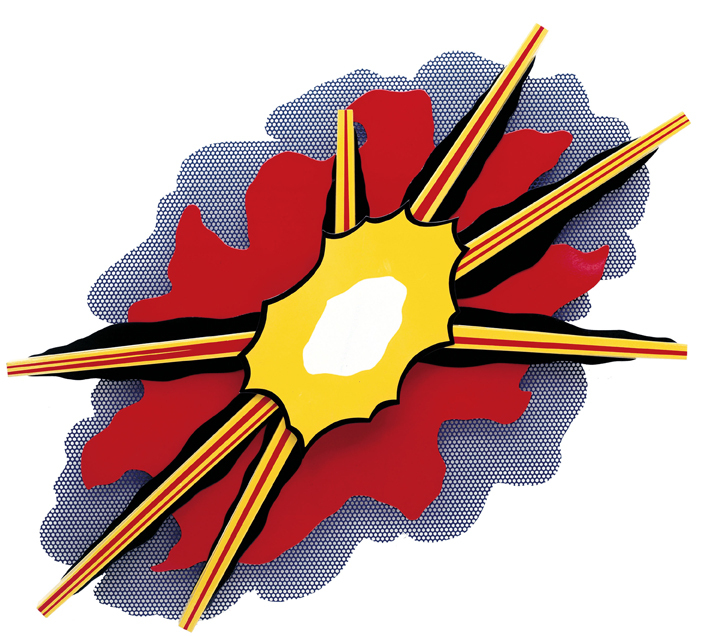 features work by many of the aforementioned, including Hockney, Jarman and Richard Hamilton. 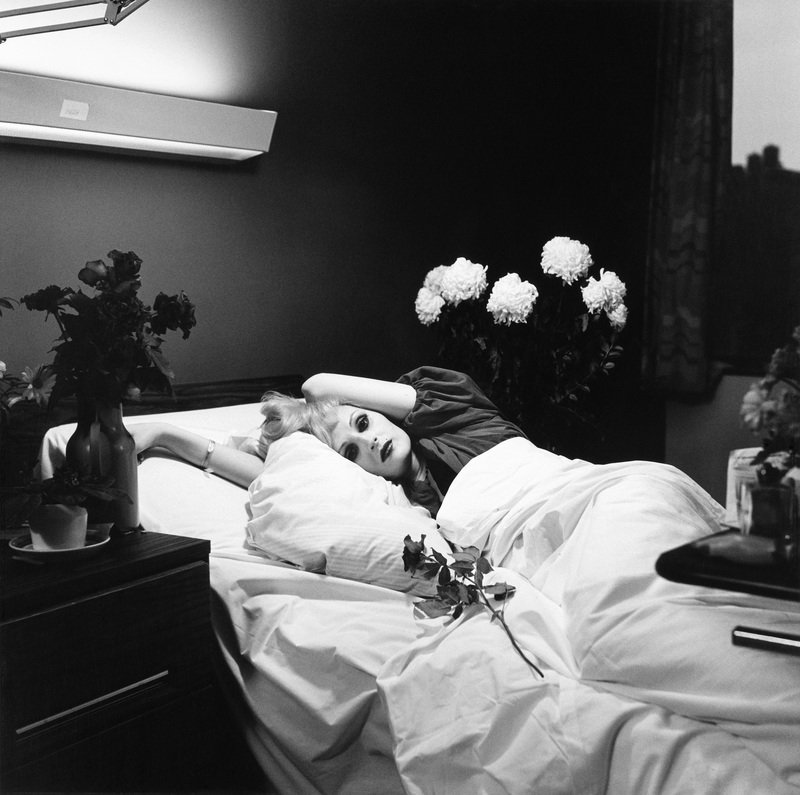 But it also showcases pieces by other artists, such as Duggie Fields, Margaret Harrison, Marc Camille Chaimowicz, Patrick Procktor, Cindy Sherman, as well as lesser-known names: ASCO, Ulay and photographer Peter Hujar. Take it from Glam! Style can have substance! We thought there was something in the air when we blogged back in July about Chloë Sevigny channelling a cocktail of vintage, 1970s David Bowie in Miu Miu’s autumn/winter 2012/13 campaign. 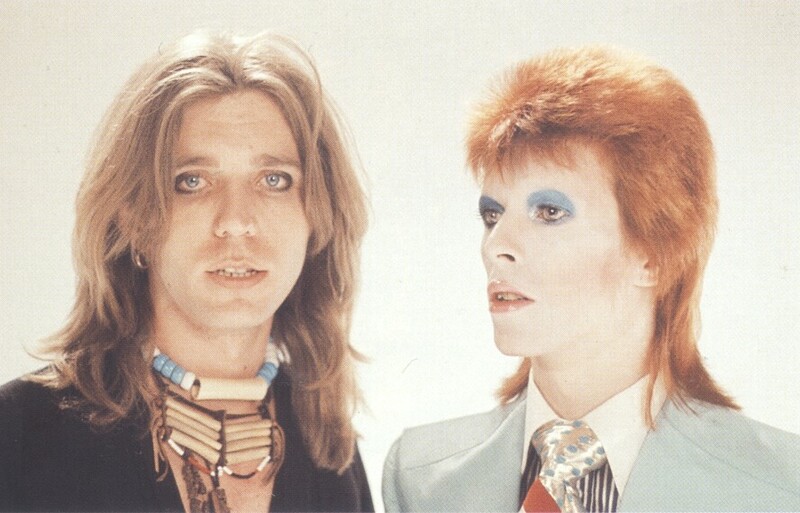 Well how prescient of Miuccia Prada, because 2013 is turning out to be the year that Mr Bowie fell back to Earth. First there was the release of his first single in ten years, Where Are We Now?, on his birthday this month, with an album, The Next Day, to follow in March. 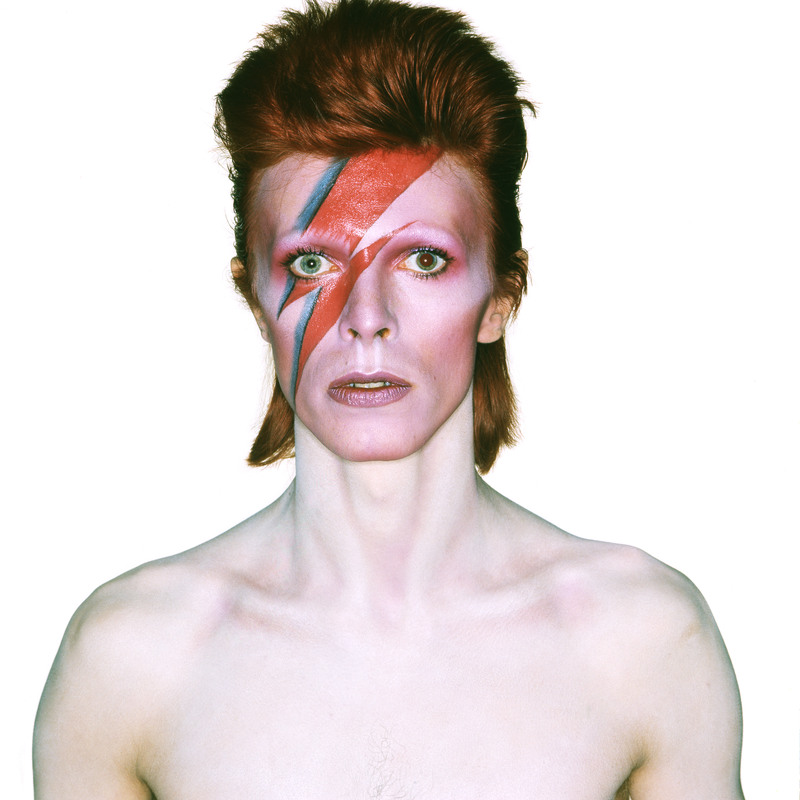 Then there’s the much-awaited David Bowie Is retrospective at the Victoria & Albert Museum in London (from 23 March). He’ll also be getting a look-in at Tate Liverpool’s forthcoming Glam! 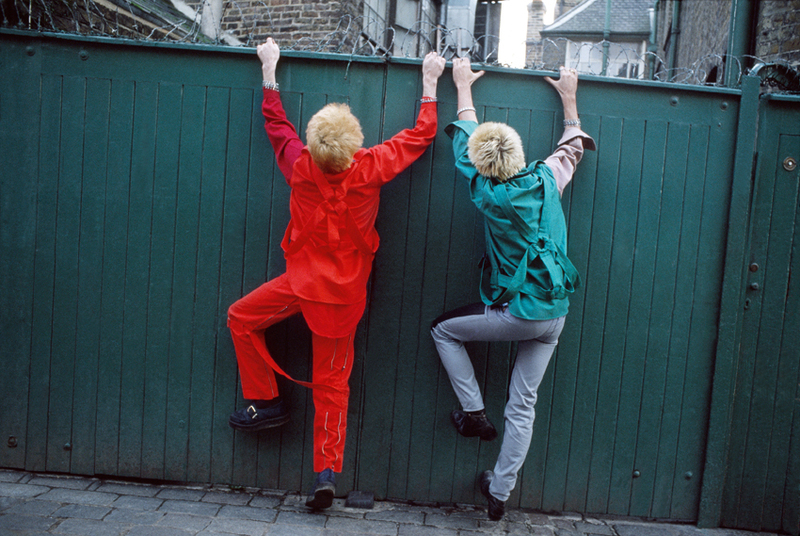 The Performance of Style exhibition (from 8 February), which celebrates the style and sensibility of the early-70s movement and its influence on fine art and pop culture. 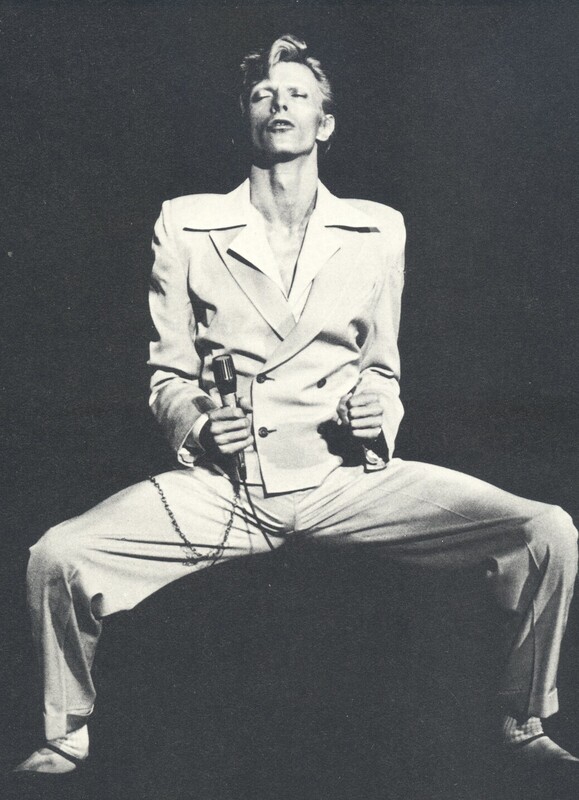 Bowie was, of course, Glam’s poster boy, zeroing in on the alternative tastes of what was originally an avant-garde subculture – androgyny, artifice, kitsch (for more, see the Avant Garde chapter of 70s Style & Design) – and delivering them to a mainstream audience in the shape of Ziggy Stardust in 1972. 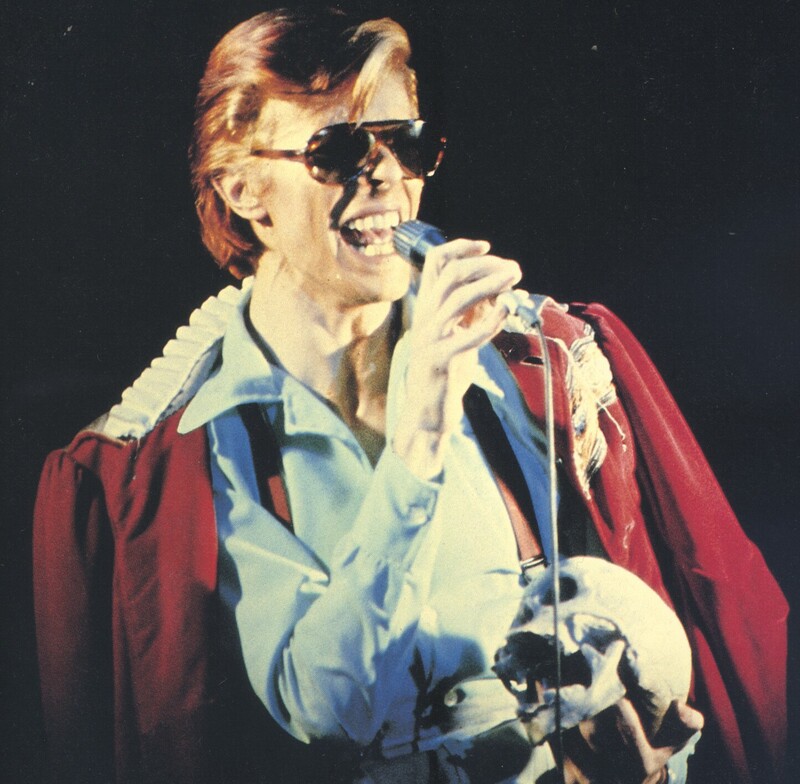 Crucial to the Ziggy persona were the stage costumes created by Japanese designer Kansai Yamamoto, who started working with Bowie in 1973, some of which will be appearing in the V&A show. Yamamoto was one of a new wave of Japanese designers, including Issey Miyake and Kenzo Takada, taking the fashion scene by storm in the 70s, all of whom feature in 70s Style & Design. 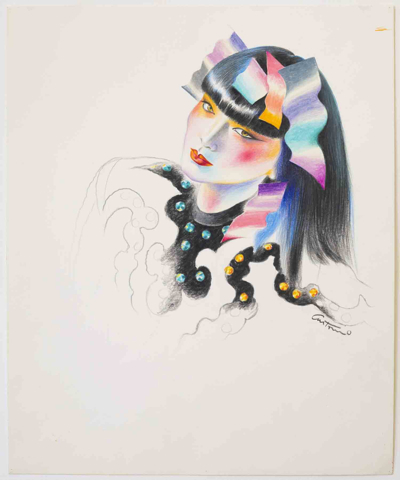 Yamamoto opened his own house in 1971 and was renowned for fusing traditional Japanese clothing styles with ultra-pop, Western motifs, while, at his dynamic catwalk shows, his dancing models swirled and hurtled down the runway. One year earlier, Kenzo Takada, founded his label, simply known as Kenzo, and soon after opened his cult Paris boutique Jungle Jap, which boasted murals in the style of painter Henri Rousseau. 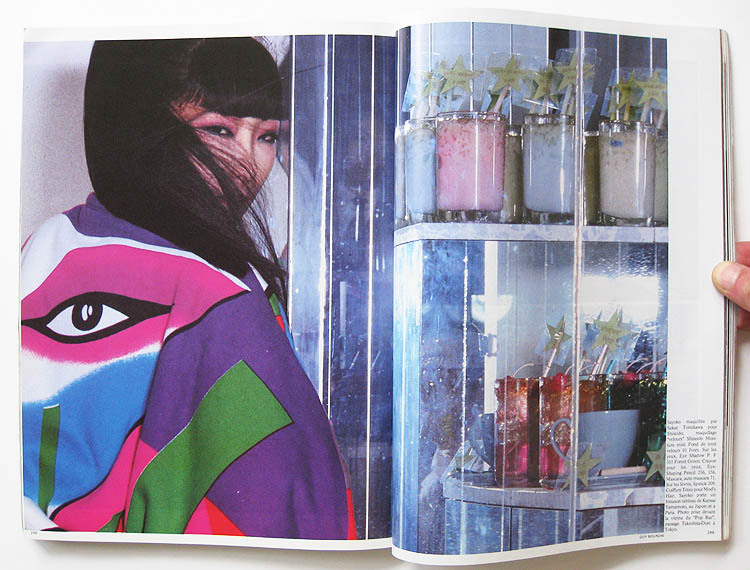 Miyake trained as a graphic designer in Tokyo, subsequently moving to Paris in the early 70s. 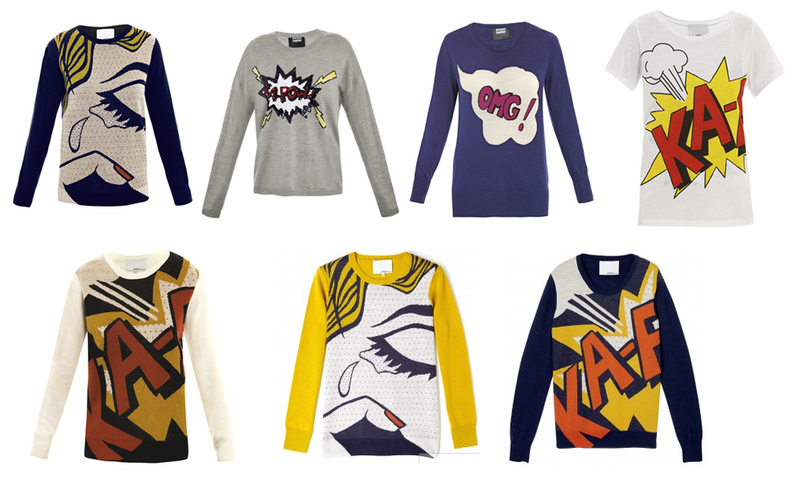 All these designers shook up the stuffy world of Parisian fashion with their funky, vibrant fashions. A favourite model of all three designers was the late Sayoko Yamaguchi, who was named by Newsweek as one of the world’s top models in 1977. She was also a catwalk star for many other high-profile designers, including Yves Saint Laurent. Her razor-sharp, jet-black bob, with its low fringe covering her eyebrows, her graphic carmine lips and angular cheekbones were her trademarks. 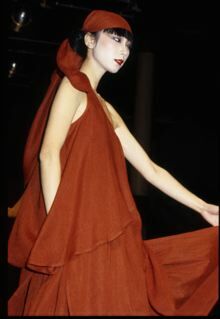 Designers in the 70s increasingly used black and Asian models and Japanese-born Sayoko was at the forefront of this trend. 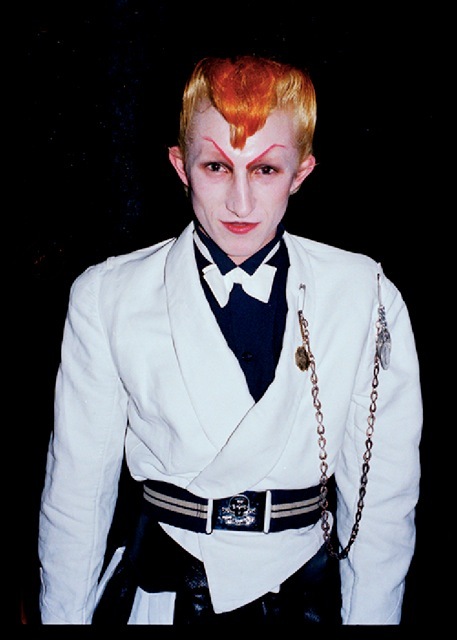 Could Chloë Sevigny be channelling David Bowie? Naturally, this thought crossed our minds when we spotted the thoroughly soignée Sevigny modelling for Miu Miu’s autumn/ winter ad campaign, hair styled à la David Bowie on his Diamond Dogs tour of 1974. The rest of Chloë’s ensemble – unapologetically chunky platforms, flashy tie and double-breasted jacket – is a cocktail of vintage Bowie, from Ziggy Stardust to the Thin White Duke, and her barely there brows and sky blue eyeshadow are straight out of his Life on Mars video, for which he was dolled up by cult visagiste Pierre Laroche. It couldn’t be more opportune that the Miu Miu ads bow to Bowie: his album The Rise and Fall of Ziggy Stardust and the Spiders from Mars turned 40 last June, and EMI marked the occasion with the release of a remastered version by Ray Staff, who engineered the original back in 1972. And maverick Hollywood actress Chloë is the perfect – organic – fit for the Miu Miu campaign, since she adores retro fashion. In a recent Guardian interview, when popped the question ‘What’s your guiltiest pleasure?’, her answer, plain and simple, was ‘Vintage clothing’. 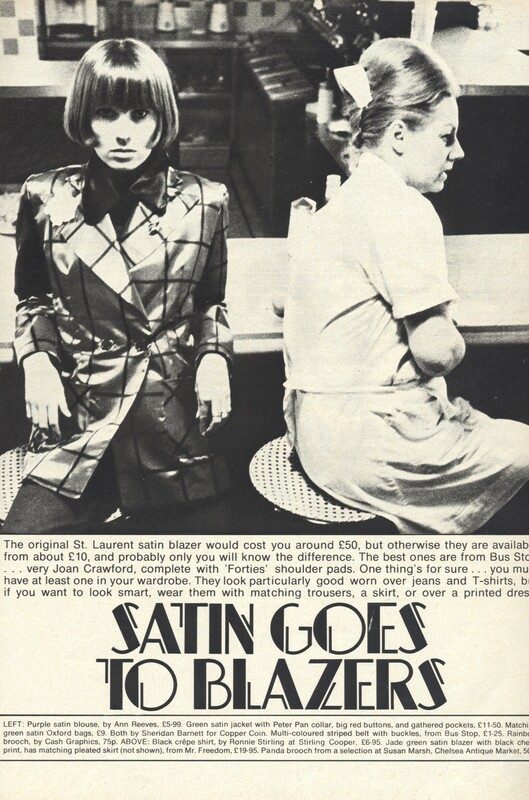 When word got out that Paul Gorman has written a tribute to Tommy Roberts, groover and shaker on the 70s fashion scene (and beyond), we couldn’t wait to flag it up on our blog. 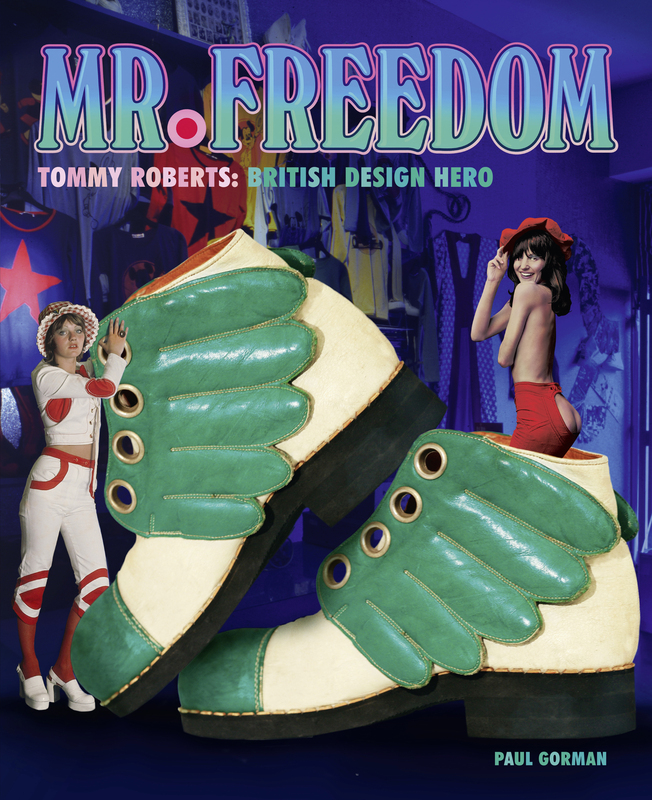 Paul’s new book, Mr Freedom – British Design Hero (Adelita), with a foreword by Sir Paul Smith, has just been published. 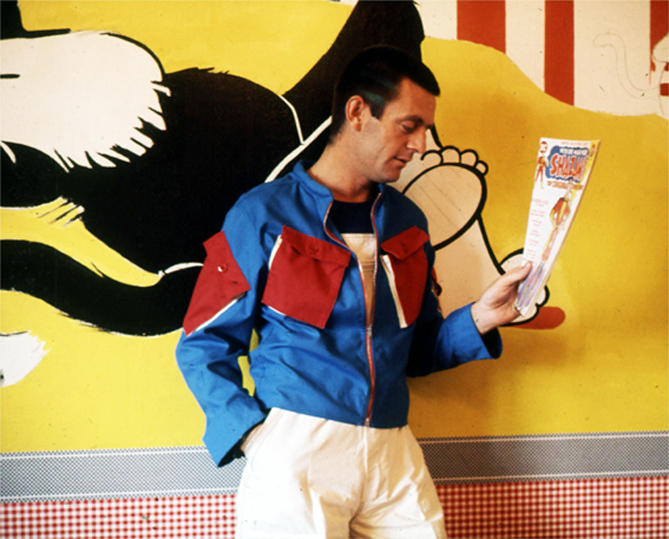 Naturally, we see Paul – also author of cult tome, The Look: Adventures in Rock and Pop Fashion – as a kindred spirit: after all, the joyful style of Mr Freedom’s ultra-pop clobber (more of which later) plays a key role in our book 70s Style & Design, specifically in the chapter From Pop to Postmodernism. For the uninitiated, Tommy Roberts is a towering figure of British fashion and design – a truly original retailer and entrepreneur. 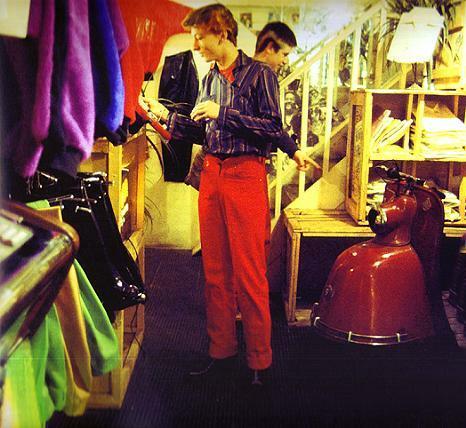 In the 60s, he pioneered the vintage clothing trade, selling antique threads to the likes of Jimi Hendrix and the Who at his Carnaby Street shop Kleptomania. 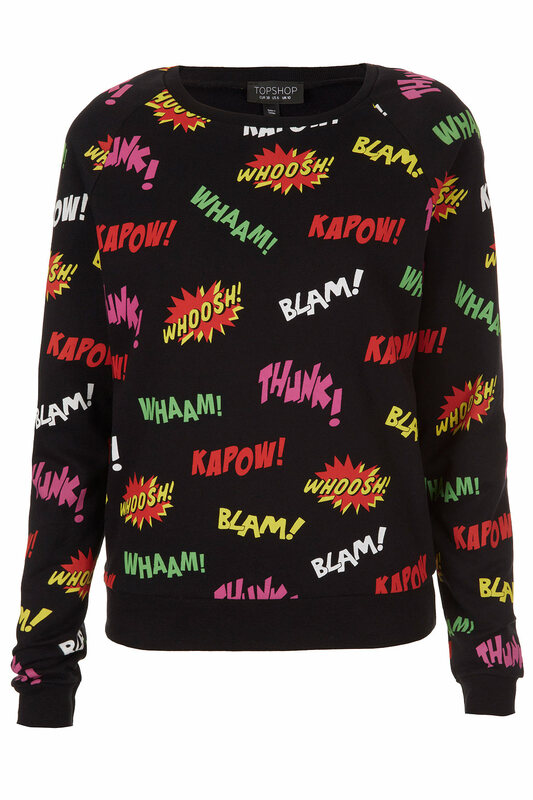 But it was with London fashion label Mr Freedom’s fun, rainbow-hued, pop art-inspired clothes – all cartoon and fruit-machine motifs, all satin and flash – that he made the biggest splash. 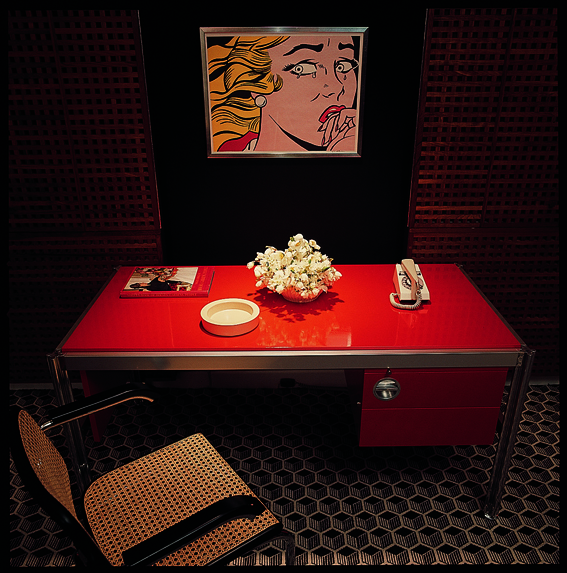 Also referencing Art Deco and 50s kitsch, Mr Freedom ushered in a new playful eclecticism in fashion which infected design, too, throughout the 70s – especially as, in the wake of the 60s pop movement, creatives of all colours rebelled against modernism throughout the decade. 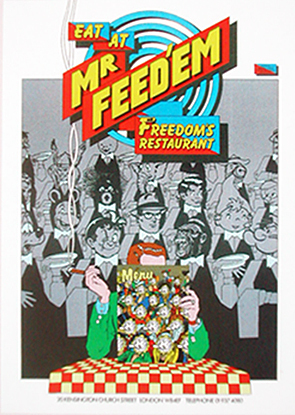 Mr Freedom, incidentally, was named after William Klein’s anti-American movie Mr Freedom of 1969 – though the shops, accoutred with such gleefully gimmicky props as a giant Statue of Liberty sculpture and cakes in the shape of blue jeans in its restaurant – revelled in pop Americana. 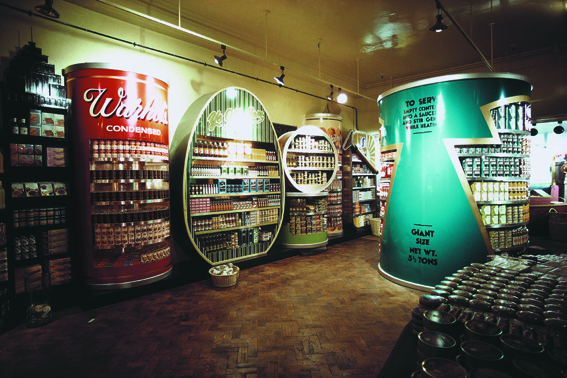 The two Mr Freedom shops in Chelsea and Kensington, open from 1969 to 1972, were the trendiest of their day; celebs such as Elizabeth Taylor, Richard Burton, Elton John, Mick Jagger, Amanda Lear and Paloma Picasso (who bought a T-shirt for dad Pablo) flocked there too. 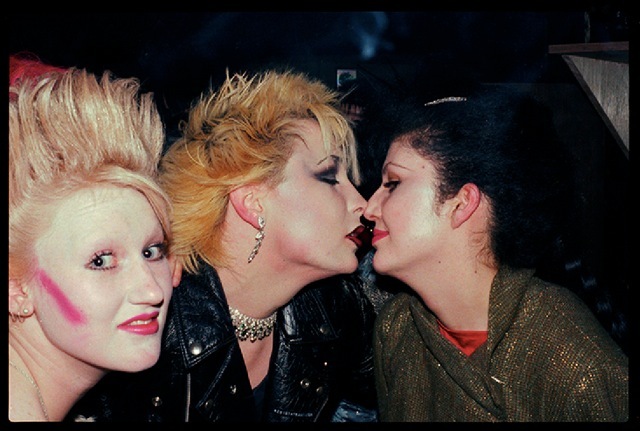 Over the years, the indefatigable, Falstaffian-looking Tommy experimented constantly with different styles: in the mid-70s, he opened City Lights Studio in Covent Garden, a proto-goth boutique painted moodily dark colours. It was a hit with pop stars like Bryan Ferry and David Bowie, the latter buying the suit he sported on the back cover of his Pin Ups album there. 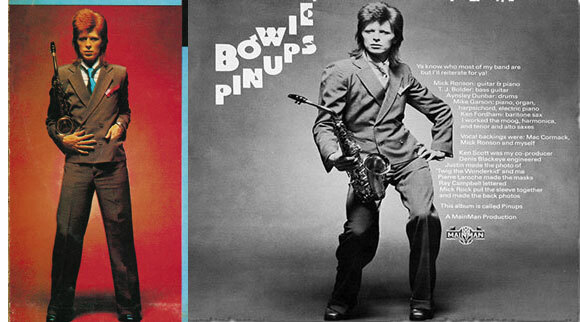 Of course, super-stylish icons Bowie and Ferry also loom large in 70s Style & Design. 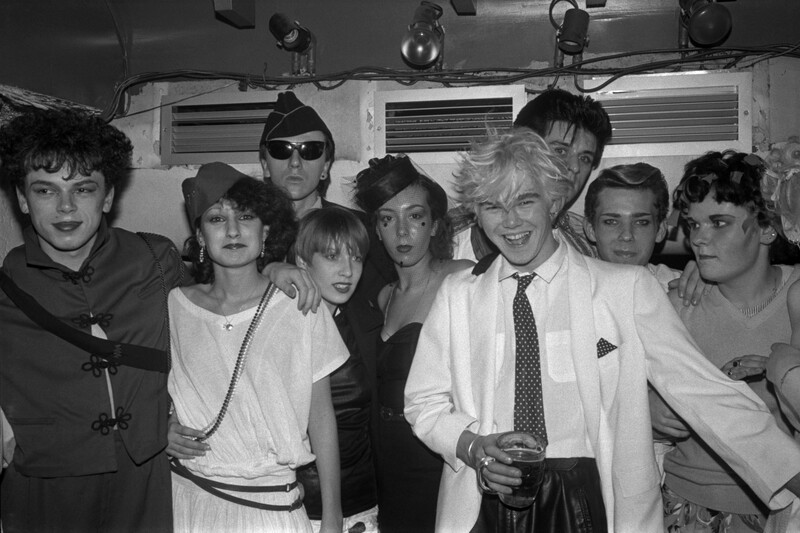 Tommy also managed Ian Dury for a while, and hung out with Malcolm McLaren and Vivienne Westwood (whose early 70s King’s Road shop Let It Rock occupied the same premises as one of the Mr Freedom shops). 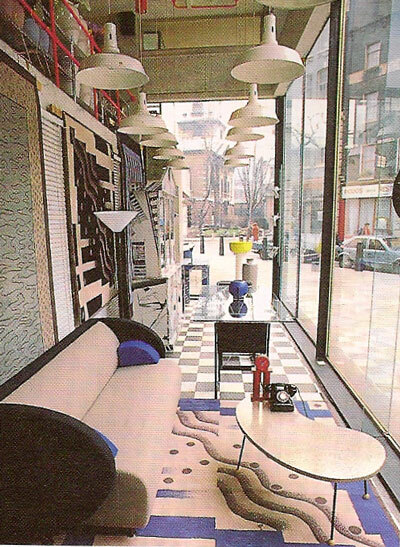 Later, ever-restless Roberts championed High Tech and Studio Alchymia-inspired furniture and homeware at his 80s emporium Practical Styling. Marc Jacobs, Louis Vuitton and Gucci boogie back to the 70s! We can’t help but notice that the 70s are back big time on planet fashion, with Marc Jacobs, Jacobs for Louis Vuitton and Gucci all paying homage in their spring/summer 2011 collections. 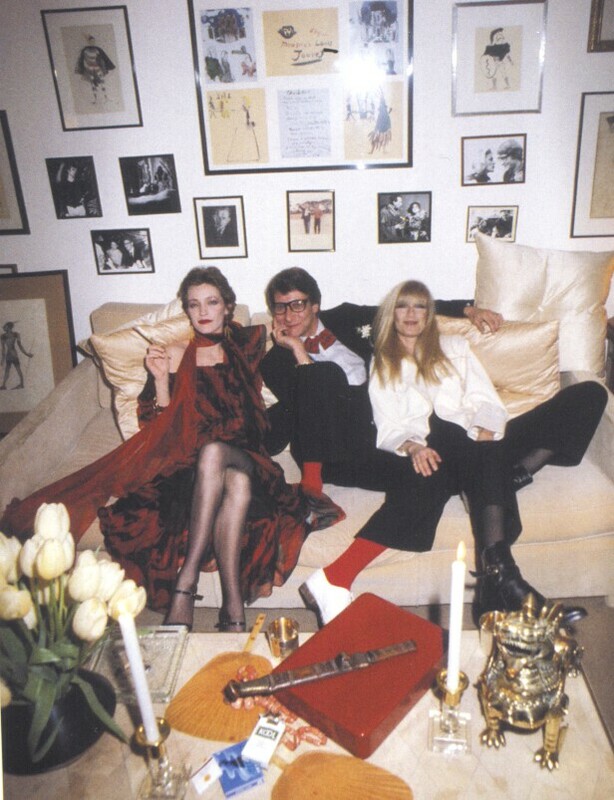 The intoxicating, high-octane glamour of Yves Saint Laurent’s opulent Opium collection of 1977 appears to be a key inspiration – luscious mandarin-chic jade green and amethyst satins, cheongsams, gold cummerbunds, all sported by models with Chinese lacquer red lips and nails – not to mention the high-gloss disco era aesthetic of Guy Bourdin. Jacobs definitely spearheaded the current wave of 70s nostalgia, with a super- sophisticated synthesis of countless 70s looks: vintage YSL (military/safari jackets in tobacco and terracotta; off-the-shoulder dresses in YSL’s fave gauzy voiles); Mr Freedom (crushed-strawberry satin trouser suits); Jodie Foster in Taxi Driver (hotpants, floppy hats, bubble curls); Missoni (ochre/rust/burgundy zigzags on skinny-rib knits); Biba (vampish, sooty eye make-up, plum shades, 20s dropped waists, feather-boa chokers); 70s supermodel Marie Helvin (tropical flowers in hair – reminiscent of David Bailey’s Vogue shoots of her in exotic locations circa 1976). And let’s not forget the crimped hair! The plucked eyebrows! The platform shoes! The shoulder-slung handbags! Lanvin’s ad campaigns are a dead-ringer for Helmut Newton’s iconic 70s fashion shoots featuring women enacting stylised catfights, one of which appeared in Nova in 1975. And as a design aside, the Deco-tastic apartment they’re shot in evokes the Deco-filled Paris flats of Saint Laurent and Karl Lagerfeld in the 70s. However it’s not all hard edges and glossy surfaces in this revival: D&G’s women’s collection was softer, more girlish: redolent of Kenzo (the outsized florals), Laura Ashley (the flouncy, ankle-skimming dresses) and even Mr Freedom (denim, checks and big fat flares and platforms). 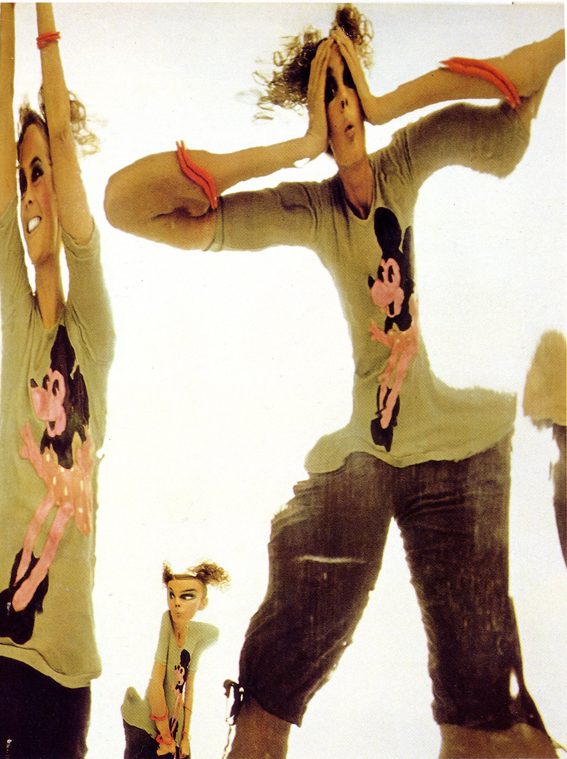 And, in contrast to the fierce expressions of Newton’s pugilistic models, the girls in this D&G ad campaign recall the breezy joie de vivre captured in the fashion pics of a very different 70s snapper – Oliviero Toscani.